This establishment includes a pre-school, primary and se- condary school, and has been working since 1989 according to the pedagogy of Pierre Faure in connection with Sofia Caval- letti and the pedagogy of Fr Joseph Kentenich. 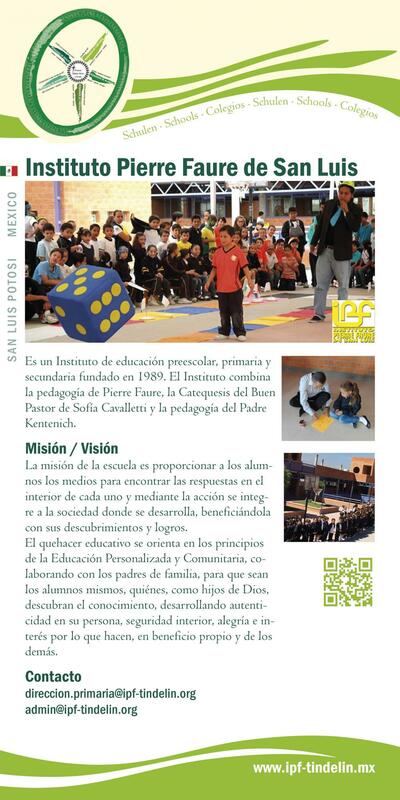 The educational work is guided by the principles of persona- lised education and community. Special emphasis is placed on working with parents. What matters is to create a social and religious milieu for the students in which they can develop into authentic personalities, develop inner certainty and acquire knowledge they can use for them- selves and others.